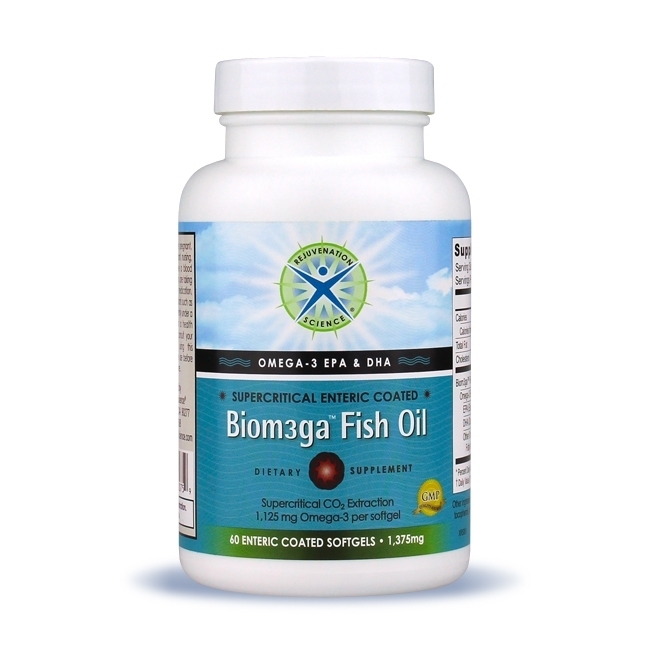 Supercritical Biom3ga™ Fish Oil (pronounced Bio-Omega-3) is one of the highest potency omega-3 fish oils available, containing 1,125 mg Omega-3 per softgel. Biom3ga™ Supercritical Fish Oil is extracted using an advanced, cold, supercritical CO2 extraction process, to concentrate the omega-3s, remove impurities and prevent oxidation and rancidity. Store in cool, dry place. Do not use if tamper-evident seal is broken or missing. Keep out of reach of children.